Story - 2: I have been on board this run since Andreyko took over, but this story seemed like a filler issue and did not advance the main plot of this run at all. Also a few inconsistencies from last issue hurt the overall enjoyment of this issue. Splyce was introduced as the "Caretaker of Krypton" so how does that make her a hired hand of Harry Hokum? 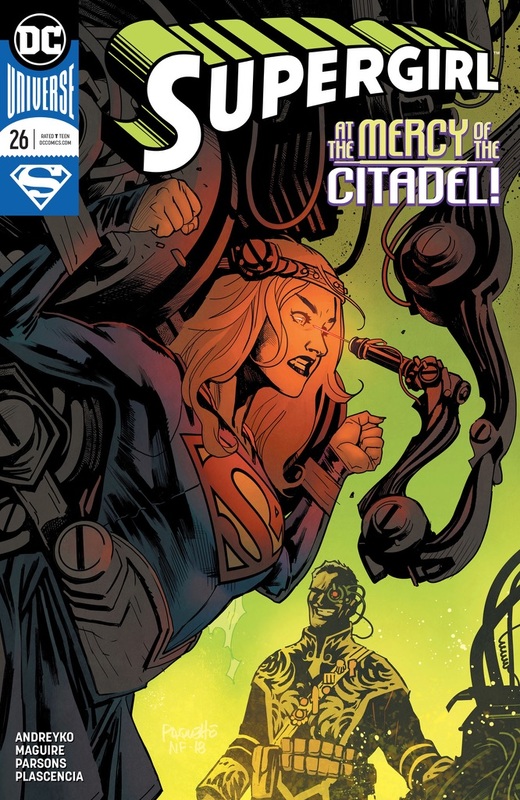 Also during Kara's initial battle with Splyce, and right before they both vanished, Kara was at full strength thanks to the solar blasts from her enemy, yet completely drained at the start of this issue. It just doesn't make a lot of sense. Art - 3: Kevin Maguire returns after a two issue hiatus. Maybe it was because we were spoiled the previous month with the very talented Emanuela Lupacchino artwork, but for me the art in this issue did not live up to the quality I have seen out of this title lately, and going back to Maguire's first few issues confirms that we have seen better from this artist. Still, overall not bad art. We have just become accustomed to better. Cover Art - 2: There is nothing memorable about this cover. The art style, the color pallet, the lack of detail on Harry Hokum. Overall not an appealing cover. However the subject matter does represent what to expect on the pages inside which is always a plus for me, saving it from a lower score. 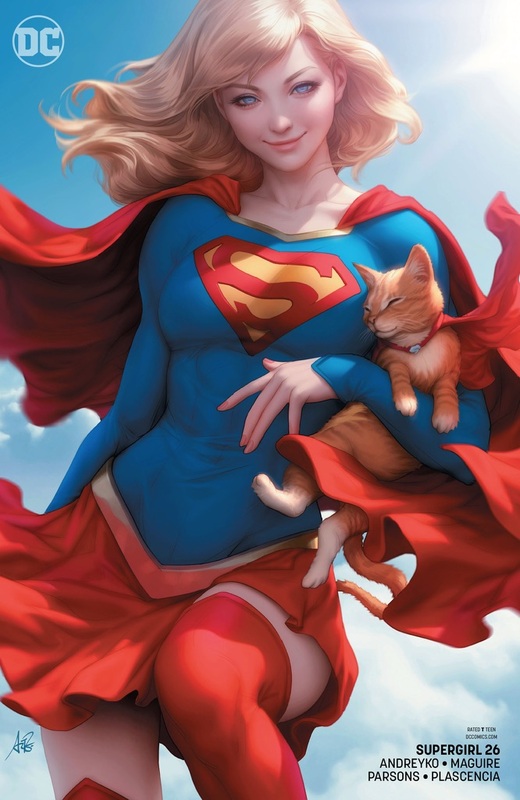 Variant Cover Art - 5: The book is wrong, it credits Amanda Conner for this month's variant when it is actually Stanley "Artgerm" Lau which is a reused piece of art from the exclusive print at NYCC 2017. I am glad DC chose to use this, however I'm not sure if Amanda Conner was late with her cover and they used this instead. The fact she is incorrectly credited in the book could suggest that. Whatever the reason, I am glad this cover was released in its place.